Nine-year-old Rani is unhappy. She has to stay away from her mother Janki Patel, who is taking part in a clinical trial at a centre 10 kilometres from her house at Bapu Nagar in Ahmedabad. “I do not like these trials. They take my parents away,” says Rani. In their late thirties, Janki and her husband Amar Patel attend trials so that they can pay Rani’s school fee and earn two square meals a day. They are subjects of non-therapeutic trials conducted on healthy individuals to confirm efficacy of drugs launched abroad on Indians. One trial fetches them between Rs 5,000 and Rs 6,000. The money kept the Patels going after they lost their jobs as diamond cutters three years ago when the market crashed. BA Research India Limited, a contract research organisation (CRO), asked Janki if she was willing to take a cancer drug which may have side-effects like vomiting and headache. Desperate for money, she gave in. CROs recruit participant, design trials, and manage and analyse data obtained from the trials. “When one person is given many medicines, it can have side-effects, especially if there is no proper spacing,” says Deval A Parikh, consultant gastroenterologist at Jagmohan Hospital, Ahmedabad. Parikh conducts trials in the hospital. Hundreds of kilometres away at Indore in Madhya Pradesh, Sooraj and Reena Yadav were clueless that their only child was subject of a clinical trial. 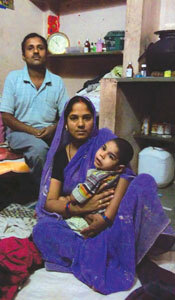 In November 2009, four-year-old Deepak, whose growth is stunted, developed stomach problems. He was taken to Chacha Nehru Bal Chikitsalaya, a government hospital for children. Doctors there, Ashish Dube and Nirbhay Mehta, said Deepak had “shrinkage” and abscess in the intestine, and would need prolonged treatment. “I was promised a monthly compensation of Rs 250 for wage loss and transport,” says Sooraj, a vegetable seller. He was also told Deepak’s medical tests would be free. He came to know his son was being tested for a drug when Down To Earth read out the medical report to him. Deepak was being used to test Rebeprazole, an anti-ulcer drug made by Johnson & Johnson. “We should have been told an unknown drug was being tested on our child and given the choice to say no,” says a visibly disturbed Sooraj. As per the law, the subject of a trial or his family must be given copies of the patient information sheet, informed consent form and clinical trial liability insurance policy, says Anand Rai, health activist and doctor. Deepak’s doctors told Sooraj the medical records would be kept in the hospital. Hemant Jain, principal investigator of the trial, claims Sooraj was given copies of all the documents. “He may have lost them,” he says. Asked to produce the original papers, Jain said they were confidential. Governed by Schedule ‘Y’ of the Drugs and Cosmetics Act, 1940, clinical trials must be monitored by the Drugs Controller General of India (DCGI) and ethics committees. No trial can begin without the ethics committee’s consent. A body of at least seven members comprising professionals like pharmacologists, lawyers and sociologists, an ethics committee can be institutional or independent. It is this body’s responsibility to safeguard the rights, safety and well-being of a trial subject. It should also check the trial design, ensure insurance cover and review informed consent forms. The basic ethical guidelines for performing clinical trials is the Declaration of Helsinki issued by the World Medical Association. In India, guidelines have been set by the Indian Council of Medical Research (ICMR). But there is no law that makes the guidelines binding on those involved in conducting trials (see ‘From lab to market’, p35). Trials must also adhere to Good Clinical Practice guidelines of the International Conference on Harmonisation drafted in 1996. It facilitates mutual acceptance of clinical trial data by the regulatory authorities of Japan, EU and the US—the three major drug manufacturers. The United States Food and Drug Administration, however, recently said it will not require conformation to the Declaration of Helsinki for trials done outside the US. The global clinical trial industry is worth Rs 1,56,870 crore. Clinical trials conducted in India in 2008 were worth Rs 1,345 crore, shows data collected by Ziven Consulting, a Gurgaon-based clinical trial consulting firm. The figure may seem small but is growing at a staggering 65 per cent every year. When a new drug is discovered, the office of the Drugs Controller General of India (DCGI), the regulatory authority, grants permission to conduct clinical trials in India. An ethics committee, formed by the institution conducting the trial, gives its stamp. The Clinical Trial Registry of India (CTRI) registers it as a drug being tested in India. The trial is conducted by investigation agencies, which could be CROs or non-profits. Data from trial sites is submitted to DCGI after which marketing licence is issued. The trial business is likely to reach Rs 8,951 crores by 2012. 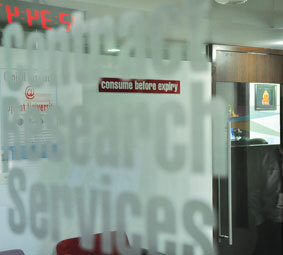 In the next five years, India may conduct about five per cent of the global clinical trials, the firm’s data shows. Of the total cost of research and development (R&D) almost 70 per cent is spent on conducting trials. In 2010, US biopharmaceutical research companies invested Rs 3,02,086 crore on R&D, up from Rs 2,95,364 crore in 2009, states the report ‘Putting CROs on the radar’ of the Centre for Research on Multinational Corporations (SOMO), a Dutch non-profit. 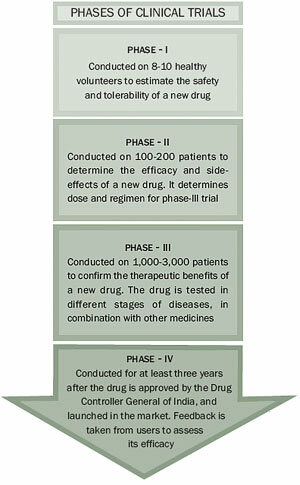 Clinical trials are conducted in four phases (see ‘Phases of clinical trials’,). It is the third phase which is most expensive. Conducted on 1,000-3,000 patients, it confirms the therapeutic benefits of a new drug. PhRMA, an association of drug companies in the US spent Rs 2,12,446 crore on R&D in 2008. In the third phase the drug companies spent a whopping Rs 69,022 crore. This calculates to 32.5 per cent of the total amount, the SOMO report states. Multinational drug companies, therefore, outsource the third phase of trials to non-traditional research areas where cost is much less. 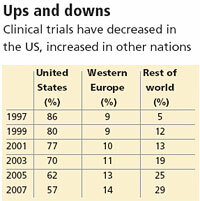 Countries of Latin America and Eastern Europe, besides India, China and Russia, have become the clinical trial hotspots. About 50 per cent of the new drug applications submitted in the EU and the US say trials are being done in these countries, the SOMO report states. “Compared to Western Europe and North America, these countries are less regulated. They have a less developed healthcare system and a relatively vulnerable population,” says SOMO researcher Irene Schipper. Indian industry is the winner as it gets huge amounts when the currency is converted to rupee. Most pharmaceutical companies conduct trials through CROs, which have mushroomed to take advantage of this booming business opportunity. 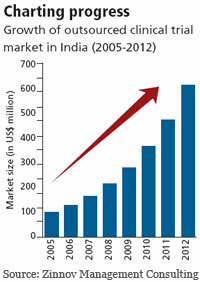 Its market in India has grown from Rs 423 crore in 2005 to Rs 1,611 crore in 201 0 (see ‘Charting progress’). It is expected to cross Rs 2,721 crore by 2012, says SOMO. According to CROs, payments cover expenses like recruitment fee, staff salary, equipment and communication. “The principal investigator—the doctor conducting the trials—gets Rs 25,000-Rs 30,000 per patient,” says Sudip Sinha, vice-president and country manager, CliniRx, a Gurgaon-based CRO. The amount may increase to Rs 80,000-Rs 90,000 if trials are for complex diseases like cancer which take a long time to complete. The investigator gets 50 per cent of the amount budgeted for the trial because he is responsible for ethics approval, consent, recruitment and safety management, says Arun Bhatt, president of Clininvent Research, a Mumbai-based CRO. Investigators in private hospitals are paid much more. Money ranges from Rs 70,000 to Rs 1 lakh per patient. Regulatory authorities have no control over CROs. They are not mentioned in Drugs and Cosmetics Act and are not required to get registered. “They have mushroomed on their own to make money. If questioned, they can easily shut shop and disappear,” says C M Gulhati, editor of Monthly Index of Medical Specialities. Anyone who is trained in clinical research and has good contacts in hospital and laboratories can set up a CRO, says Amit Sengupta, member of All India People’s Science Network, a non-profit. Taking advantage of poor regulations, many CROs compromise on ethics. They are called data producing shops. At times they do not report adverse events as it delays completion of the trial, says Divya Bhagianadh, researcher with the Centre for Studies in Ethics and Research (CSER) in Mumbai. They complete trials at least 30 per cent faster than pharmaceutical companies, states a SOMO report. Pharmaceutical companies prefer India because of low cost—almost 60 per cent less than the US or Europe. India has a large number of patients with acute and chronic diseases and lifestyle disorders. The country’s genetic diversity also helps in achieving accurate results. 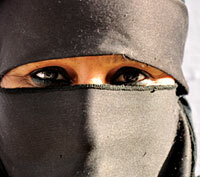 “There are many ethnic groups in India. Testing drugs on people with different ethnicities helps get diverse data,” says Sengupta. Besides, India has a large “treatment naïve” population—people who have not been diagnosed or treated for specific diseases. This minimises interference of the effect of other drugs. “The US population is therapeutically saturated with most people taking six to seven drugs a day,” says Mohan Rao, professor at the Centre for Social Medicine and Community Health, Jawaharlal Nehru University, New Delhi. Maharashtra accounts for maximum number of trials conducted in India, shows data maintained by the CSER. Of the 882 trials registered till June last year, 239 were conducted in Maharashtra. A large number of trials are also being done in Delhi, Bengaluru and Ahmedabad. In India, the earliest big trials were conducted in 1995 by Eli Lilly and Pfizer. Sanofi-Aventis, Bayer, Novartis, Johnson & Johnson, GlaxoSmithKline and Merck followed in mid-2000. 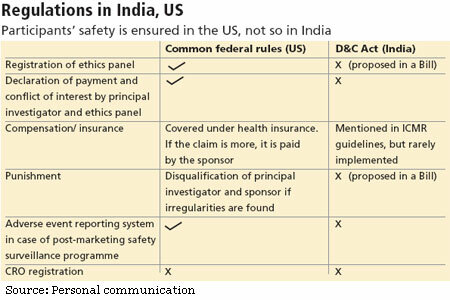 Conducting trials in India became easy after the 2005 amendment to Drugs and Cosmetics Act, which permits concurrent trials. According to this, second and third phase trials of drugs discovered abroad can be conducted in India in the same phase and at the same time as in other parts of the world. Earlier, companies had to repeat the first phase in India (see ‘Trials in India’,). “The amendment, which came due to industry pressure, opened the floodgates for companies to conduct trials here,” says Sandhya Srinivasan, executive editor of Indian Journal of Medical Ethics (IJME). “But government is promoting trials without setting up proper regulatory and monitoring structures,” she adds. Malpractices exist because very few professionals are trained to conduct trials ethically, says Sengupta. Over the years, ICMR has revised guidelines to check malpractices. “But it seems the government has made them just to show that it is working. Ethics are being compromised at every level,” says Amar Jesani, founder member of IJME, who has been part of several ethics committees. “The industry takes advantage of this.” There is no check on the functioning of ethics committees. This has led to mushrooming of independent committees. 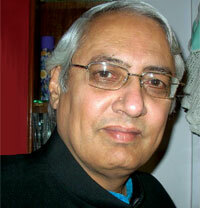 “Ethics committee shopping has become a norm,” says Sengupta. When the mandatory approval for trials is refused by one, pharmaceutical companies go to another. Ethics committees are not legally bound to make their decision public. The ethics committee of Public Health Foundation of India (PHFI) refused PATH, a US-based non-profit working in collaboration with the Indian government, the permission to conduct a clinical trial for HPV vaccine for cervical cancer in Andhra Pradesh and Gujarat. PATH then approached an independent committee in Vadodara which gave its approval, says N B Sarojini, coordinator at Sama, a Delhi-based non-profit for women and health. Seven girls died during the trial. PHFI president K Srinath Reddy says the proposal was based on the assumption that HPV vaccine is safe and effective. “But no data was provided to substantiate it. Ethical aspects of the project were also not stated. We, therefore, rejected the proposal,” he adds. ICMR director-general V M Katoch admits loopholes in the system. “We will put in place a system where decisions of ethics committees are made public,” he says. Lack of monitoring of ethics committees has resulted in exploitation of the vulnerable section, says Sengupta. Patients with incurable diseases (see ‘Diseases targeted,’), unemployed, poor, those under detention, refugees, and minors incapable of giving consent constitute the vulnerable section. This should be avoided, states the ICMR guidelines. The vulnerable become subjects as that is the only way they can get treatment. Studies show in most cases subjects are referred by their personal physician. Health activists say many subjects are taken for a ride as trials are often promoted as treatments. “They are actually experiments with possibilities of risk,” says Sengupta. Victims of Bhopal gas tragedy were made subjects of clinical trials without their informed consent. The trials were conducted in 2004 at the government-funded Bhopal Memorial Hospital and Research Centre (BMHRC) set up to treat them. They were tested to study the effects of the antibiotic televancin; tigecycline, which minimises antibiotic resistance; prasugrel, a drug for cardiovascular disorders; fondaparinux, which prevents blood clots; and a combination of the antibiotic cefoperazone and sulbactum, a chemical salt. Cefoperazone is no longer marketed anywhere. Fixed dose combination of cefoperazone with sulbactum was never approved in the US, home base of Pfizer which manufactured it, says Gulhati. Except for fondaparinux, none of the medicines were approved for human use, says Gulhati. “Ethical standards in a country where trial is being conducted should not be any less stringent than in the country where the drug has been discovered. Can any hospital in the US dare to conduct trials on victims of disasters like Bhopal gas tragedy?” The trials began when concurrent trials were not permitted in India. In reply to an RTI query, BMHRC said it did not fall under RTI ambit. The industry considers vulnerable people as guinea pigs, fumes Sengupta. But Shiv Prakash, managing director of Synchron, an Ahmedabad-based CRO, differs. “Clinical trial participants should be respected and hailed as heroes. Taking an experimental drug is like going to war. They are working in the larger public interest,” he says. “Soldiers in war are not lured by money,” retorts Purushottam Parmar, an activist with RAAH, an Ahmedabad non-profit working for the uplift of clinical trial participants living in slums (see video clip of CRO Lambda offering huge sums to a subject to take part in a trial, on downtoearth.org.in). The participant is the loser as far as post-trial access to a new drug is concerned. In most cases, the subject is denied the medicine after the trial is complete even if he benefits from it. The medicine takes a long time to reach the market, and when it does it is too expensive. This forces the participant to return to the previous mode of treatment. Besides expediting the process, pharmaceutical firms should be negotiated with for post-trial access to the drug, says Jesani. The vulnerable are also victims of multiple trials within a short time. The ICMR guidelines (see ‘ICMR guidelines on ethics’) prohibit more than one trial on a subject unless there is a time gap of at least three months. Bhagwati Gurung’s name appears in the list of two trials conducted within two months at M Y Hospital in Indore. Both were conducted by Salil Bhargava, the hospital superintendent. “It could be typographical error,” Bhargava claims. In the same breath, he argues two persons by the same name may have volunteered. At present, CROs do not track the number of trials performed on one person. Synchron, however, has devised a software which tracks all trial subjects through thumb impressions. Bhargava is in the list of eight doctors against whom the government has initiated inquiry for alleged irregularities during trials between 2005 and 2010. The investigation committee had been asked to submit its report in November last year. It is still awaited. Questions have also been raised over the constitution of the committee investigating the irregularities. Its members have earlier been associated with clinical trials. One of them, V K Saini, director, Medical Education, government of Madhya Pradesh, was the first to initiate trials in Indore. RTI replies reveal Saini had violated laws. Trials, for instance, were initiated without the necessary government consent. He also did not deposit to M Y Hospital 10 per cent of the fund received from the drug firm for trials. The money involved is usually huge, affecting the judgement of those involved in the trials. Another RTI reply gives details of amounts received by doctors for conducting trials between 2006 and 2010 at MGM Medical College and M Y Hospital in Indore. Hemant Jain of the paediatrics department made Rs 75 lakh, Anil Bharani of the cardiology department Rs 65 lakh, Ashok Bajpai of medicine Rs 37 lakh and Salil Bhargava of chest and TB Rs 64 lakh. “A doctor’s salary at MGM Medical College is between Rs 60,000 and Rs 75,000 per month. 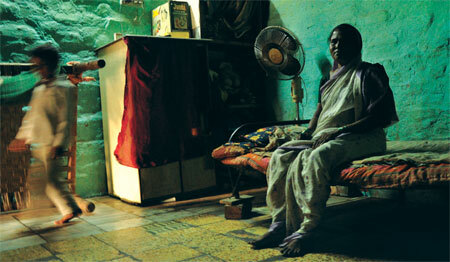 The RTI reply clearly shows trials are a dominant source of their income,” says Anand Rai, health activist and doctor. Pushpa Varma, professor at the ophthalmology department of MGM Medical College, reached an agreement with CRO Quintiles Research India Private Ltd to test moxifloxacin, a solution for conjunctivitis. The trial was sponsored by Alcon Research limited, a firm based in Switzerland. The payment was sent to her residential address—61, Juni Karsera Bakhal, Indore. She was paid Rs 26,000 per subject. The trials were done on 35 subjects. 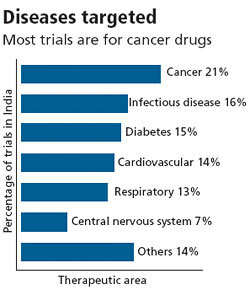 The Indian clinical trial industry is in its nascent stage. The right push from the government can play a big role in improving its economy and healthcare, says Apurva Shah, chairperson of the Indian Chapter of Association of Contract Research Organisations. “We are learning from our mistakes,” says Katoch of ICMR. A step towards improvement is upgradation of the Clinical Trial Registry of India. 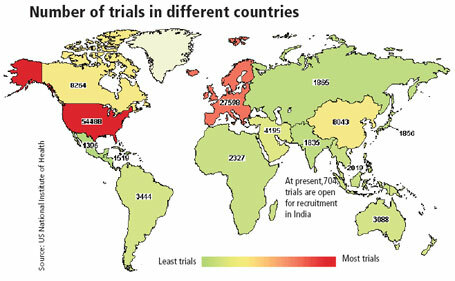 Its website now makes it simpler to find the number of trials open for recruitment. Earlier, it was difficult to search a trial through a district’s name. But much more needs to be done on the website, when compared to the US. Registration of trials became mandatory in June 2009, four years after the Act was amended. There is, therefore, no mechanism to track the trials which began before June 2009 and are still incomplete. To ensure people’s safety, DCGI started a trial inspection programme in November last year. It issued guidelines to inspect trials outsourced to India. The guidelines included inspection of trial sites, data irregularities, reporting of adverse events, review of informed consent forms and comparing trial design in the protocol with the ground situation. But shortage of trained staff at the DCGI’s office made its implementation difficult. The health ministry has now reportedly released Rs 300-Rs 400 crore to the state drugs department to recruit and train staff to create a new task force. When will the Indian Government open its eyes to the unethical practises being carried out in clinical trials and mostly on the poor, whose welfare is its responsibility? This is a paid article. So called 'journalists" who actually write such articles doesn't even know A THING about trials. I question THEIR "ETHICS" first ! IF THE DRUGS GETS LAUNCHED WITHOUT THE TRIALS, THEN DO U HAVE ANY IDEA HOW MANY PEOPLE WILL DIE ???? Group of people (including some doctors) are hell bent on creating fear in the minds of people against such researches. They have their own vested interests in creating such propaganda. They should be ashamed of themselves and should be boycotted by the medical fraternity. Drug trials are absolutely needed for the betterment of humanity. I think friend good samaritan, the samaritan is the article author! Nowhere it is being said that do not conduct clinical trials - just conduct it ethically, scientifically and sensitive to the rights of poor people. Even as I write this you must have seen reports of the trial in AP that went awry. I work in the pharma industry and my experience is that unless there is proper regulation of these trials (at present there is practically next to none or those that are do not have any teeth), clinical trials itself will come under disrepute and the baby will be thrown with the bw. You do not want that situation do you? Btw, who will the author get paid by? Pharma industry? Who else has the money? be arranged before the agreement. Hope, these measures will resolve the present issue and help to do the process of clinical trial in an transparent and healthy environment which is acceptable to all the stakeholders. Good Samaritans can lead themselves by example by subjecting themselves or their family members to this... rather than enjoying the fruits of subjecting other human beings as guinea pigs for these clinical trials in the name of human betterment. Excellent article and a great eye-opener. To the world outside, this is something they can not even imagine. If the boss asks them to use their car to go for an official work, they would scream back- its unfair. That is how different we are in desperation. To live. But will the situation change after the article? 1.the nuances of medical science are beyond the understanding of a normal Journalist. Hence before writing such article, which portrays clinical researches in bad light, medical personnels view should be published along with. 3. furthermore, the patients so enrolled in the trial, sign informed consent forms in regional language which they fully udnerstand and they are given time to understand the procedure and withdraw if they want to from the trial. 4. Moreover, at the same time, the Internationally acclaimed Drug Trial companies, fully insure the patients so enrolled under the trial and even minor adverse events do not go unreported. 5. Also, these trials are post marketing trials, meaning thereby that the drugs have already been available in the markets since quite long. Therefore, all such drugs are known to be Phase IV drug Trials. Further, the relevant DCGI rules and the law made for the same requires these drugs to undergo a research in India by means of a medical Trial. 6. If such negative thoughts against Medical Trials are circulated by the media, without any authentication and truth in the content, the day would not be far when clinical researches would come to a complete halt in India and India would be devoid of any new research molecule. For any pertinent and relevant query you can contact me on this forum. As it was also mentioned earlier, if you feel so strongly about it, first you must volunteer to undergo the trials... may be also include some of your family then understand what those families go through. I know that they need to follow the ethics code etc, but then why the poor are the targets? Would others also volunteer? So talking is good, but then why the poor to be targeted? Don't their lives have value? What about the side effects which will last a life time? Who will pay for them? 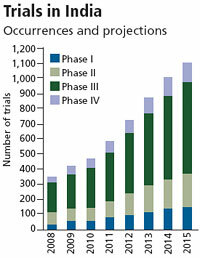 As a researcher, I agree that a robust drug discovery program require phase trials. But it should be performed with atmost scientific and ethical guidelines and procedures. A similar incident happened in 1990's at Regional cancer Center, Trivandrum Kerala, where the cancer drugs from Johns Hopkins cancer instutute, USA, was used on patients without adequate measures. First of all, all the practices MUST BE conducted based on international norms to carryout these trials and tests. Another point is to educate the volunteers. I am pretty sure that in most of the cases they throw themselves out there without proper knowledge. The whole process should be channeled though apt agencies that monitor the ethical aspects of human drug trials. You miss the point, don't you. In case you can't see rather than choosing to ignore, It is the exploitation of weaker sections. Why don't you also volunteer to test ulcer medicines yourself for the betterment of humanity. Even in case of side effects a rich person will have money for treatment i guess. Well,greater common good for humanity now. This article was really good. it was eye opener regarding how poor people are being exploited for the sake of clinical trials.Of course clinical trials are important for drug approval,but they must be carried out with full responsibility.Informed consent of the person is must.